ICE BOX - Overall, she is pretty stoic and hardy. Diana can handle just about everything life can throw at her and she has been that way since she was a young girl. This causes some people to possibly perceive her as scary, cool, or detached from reality. Though her expressions may be stern she is not so void of emotion than she looks. ZOOLOGIST - Diana loves nature with a passion and is the go to person if you want to learn about wildlife. She carries a few books around with her which she records the behaviors and other information of anything she happens to study. Around animals is one of places that someone could see her open up her rough exterior. TUNNEL VISION - She tends to be very straight forward and not very flexible when it comes to beliefs, jobs, or goals. This makes her exceptionally good at taking orders and she usually does not hesitate on a job. Being a bounty hunter she often takes it upon herself to apprehend or kill her target but may refuse to kill animals or a friend. KEEPING COOL - Due to her sharing a lineage with her father, it makes her slightly more sensitive to becoming irritated than others. Diana is able to keep her cool quite well or at least hide it for a short time. She could be exploding inside yet calm on the outside but it is not always the case. If she lets her aggravations snowball she tends to be more vocal and snippy. In more serious cases, she may lash out with sudden violent acts. DARK HORSE - Diana tends to not talk much and only speaks when she feels it's needed. Though, if the conversation holds importance she will voice her opinions and statements on the matter. Otherwise, she'll simply respond in short sentences and body language. Diana tends to open herself up more towards friends, being much more talkative and expressive. WILDLIFE - Diana enjoys nature in general. Mammals, insects, amphibians; you name it and she would love it. She spends most of her time collecting data and spending time with creatures. EGGS - There is one food that she absolutely loves-- and it's eggs. She is always trying new eggs to see if they're edible or not but her favorite egg to eat is the classic chicken egg. She'll eat anything from bird eggs to fish eggs, they're all good to her. HEIGHTS - She loves the feeling of being up high and often climbs mountains for this. One day, she dreams of taming a flying creature to be able to experience flight. AUTHORITY - Diana has a deep respect for any sort of authority that protects the people from criminals. She has a high admiration of royalty as well. So long as these figures lack any corruption, which is rare to see. It is part of the reason she got into bounty hunting. RAIN - The harder it rains the happier she is. She simply loves to way rain hits her skin and the sounds it makes as it touches the earth. With the addition of thunderstorms, it gets even more exciting. LAWBREAKING - The existence of criminal activity disgusts her and she wishes to purge the world from it. Diana strives to bring those who have wronged others to justice no matter how small the crime. Despite this hatred, she has yet to realize that her actions are not always just either. HEAT - While it's a minor discomfort, she isn't crazy about being hot. If it's not for the sweating, it's the irritation of sunburn. Diana will often shield herself from the sun as it’s rays and her pale skin do not get along well. ROUGHWATER - Not being a strong swimmer comes with it's downsides as an adventurer. She would avoid swimming in rough waters as much as possible but would if she had to. Despite her strengths, her inexperience with water and the ocean, makes her a very poor swimmer in general. DECISION MAKING - Being a quite streamlined thinker she does not like making hard, important decisions that require her to go against her way of doing things. However, if it is in line with her way, she could be trusted to make a swift and just decision. SWEETS - Foods such as candies and pastries definitely aren't her favorite. Unlike other people she doesn't have much of a sweet tooth and prefers bitter and sour flavors. ABSOLUTE JUSTICE - Realistically, no one can get rid of all the people who break the law in the world. But that is something that Diana wishes to change in her lifetime. She keeps a tally on how many criminals she has jailed or killed in one of her books. Her line of work calls for the capturing and eradication of criminals. Her dream is to rid the world of all of its evils as this was her masters dream. As she was traveling about the world after leaving Reim to further her studies and explore; she noticed how there were a lot of non-law abiding citizens and there was a lot of trouble apprehending them. This made her vow herself to the removal of these people of any territories in order to protect the innocent public. A downside to her goals is that she will apprehend any criminal no matter how small the crime and sometimes condemn them to death if it is ordered. Although she will not kill if it is not needed, she feels time in a jail is worse than dying. However, she tends to go easier on children as she would rather educate and help them, rather than lock them away. ENCYCLOPEDIA - One dream Diana has is to discover and record data of all the living creatures she can find. She is constantly setting goals for herself in this way and plans to pass on her knowledge to whomever is deemed worthy before she dies. Even though she does not plan on finding everything she hopes that someone that is as passionate as she is may continue her research. So far she has filled up two of her books with information and is working on the third one. BEING ALONE - Ever since she was a child, she never quite enjoyed being left alone by herself. Diana always enjoyed the company of a family member or a pet. While it isn't a severe fear, she tends to get very anxious when not around animals or people which is why she tends to tame social animals who require a steady relationship and do not leave her side. This fear didn't stem from anything in particular aside from the fact she is very emotionally dependent. Diana needs something to listen to her and be around her in order to feel at ease. When she is alone she is anxious, irritable, and tends to have minor emotional breakdowns. Diana is confident in herself and her abilities and it shows. Her posture is excellent yet sometimes it may make her seem stiff, almost statue-like. She has a habit of cracking the bones in her fingers which tends to leave her knuckles slightly bruised. In fact, she has plenty of scars on her body caused by the wild animals she works with and the battles she has experienced. There isn't any time where she isn't a little banged up with a few scratches and bruises. She is an attractive woman with long wavy platinum blonde hair and piercing red eyes. Since she does not like being hot, she tends to not wear heavy clothing unless it's very cold. Diana likes to wear practical clothing that is easy to move around in. 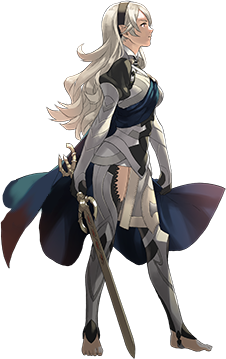 Occasionally, she will wear her golden armor from Reim for special occasions, but usually she will wear a light fitting set of armor. She doesn't have a favorite color to wear so she usually wears monochromatic shades of black to white or earthy tones such as green and brown. Rarely, you could see her wearing more colorful outfits. From being born in a predominantly Fanalis household, she has her lower lip pierced though she does not have the piercing in often, the hole is there. 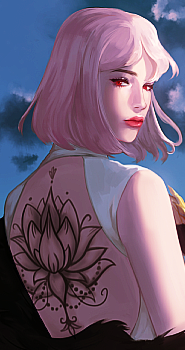 Due to her clan practices, she has a large tattoo on her back in the shape of various flowers. The one that stands out the most is the large lotus across her shoulder blades. Despite her occupation, Diana keeps herself well manicured but does not use make up of any kind. From being born in a predominantly Fanalis household she has her lower lip pierced though she does not have the piercing in often, the hole is there. Diana and her brother Apollo were born on a chilly day in winter-- on a calm, clear night. She was the first and eldest child of her family, her brother coming only minutes after her. They were a blessing to their parents and their clan. Her mother was a human who worked in a bathhouse and her father was a gladiator of Reim and the leader of a proud clan of Fanalis. Diana’s upbringing was quite average. However, her father had a horrid temper and would take it out on the family. He would throw and destroy various objects, shout, and handle them roughly. She had a twin brother and the youngest was her sister who she spent most of her time with. Despite his outbursts, she was very close with her father. Being a gladiator, her father wasn't around much during the day and her mother worked long hours at the bathhouse so she was tasked with helping take care of her younger siblings. She would try to educate them the best she could but she was not that educated herself. Unlike her siblings, she wasn't quite interested in watching her father in the coliseum. The sight of her father being injured or the possibility of the worst terrified her. Instead, she was more interested in her studies of plants and animals. She started small, observing the domestic farm animals or pets throughout the empire. With the specialty of their clan, it was easier to begin studying larger, more mysterious creatures with the help of her aunt, Minerva. It was inevitable that her father would live for long, being a gladiator had a price that it placed upon the soul. All it took was a thumb facing down or the condemning chants of the crowd. The events that ended his life, left a deep scar in their household that made sure their lives were never the same. It was one of the hottest days that Diana could remember. Her father was about to fight one of the top fighters for a sum that would allow their family to live comfortably for the rest of their days. Her mother tried to stop him as earlier that morning, she had spilled a cup of milk. That was a bad omen for her people and it struck terror into her heart. Due to his stubbornness, Marx pushed her concerns aside. Fate had already played it’s hand and there was no turning back. Diana was excited for her father and decided to attend with the rest of the family for just that day. As the fight went on, it seemed Marx had finally met his match. The man was extremely tall and muscular. However, he looked more like a monster than he did a human. There was a certain aura that the man had about him that made the whole coliseum uneasy. He was announced as Otho the Soul Ripper; a name they would never forget. However, he was a fairly new fighter who had climbed the ranks in record time. His methods of killing were grotesque and lived up to his name. At the sight of the man, her mother grew increasingly more nervous. His fight against their father seemed like it lasted an eternity and it only got the crowd more excited as it drew on. Marx fought alongside his companion, Cerberus, who was a three headed dog who was said to have guarded the gates of the afterlife. It was even more stubborn and prideful than Marx was. However, he was the first in that battle to fall. They cried as they saw the man rip the dog to pieces right in front of them. His yelps and screams would etch into their minds forever. Otho was a formidable opponent who seemed more and more monstrous as the fight dragged on. Marx, in his grief, lost control of his emotions and unleashed his full strength. It seemed he had the upper hand until they kicked up so much dust and debris that it was too hard to see. The crowd grew quiet and so did the men inside the arena. Diana and her brother ran down to the edge to get a closer look. As the smoke cleared, Otho had the near lifeless body of Marx within his hands. Diana locked eyes with her father in that moment and her heart sank as he slowly closed them. She called out to him but to no avail. Otho slammed him into the cracked earth and let out a sickening laugh. As the crowd cheered, their family was struck with overwhelming grief. Otho had a chariot brought out and before he climbed into it, he tied Marx’s ankles to a rope attached to the back. After noticing what was going on, Marx tried to lift himself up to undo the ties. However, his body was too weak to do so. With a whip from the reigns, Otho and his chariot dragged Marx around the arena until his body was nothing but mangled pieces that barely held onto each other. The scene lasted for hours and to this day, they never received his body from his Otho, who kept the remains as a trophy. The days passed and the family, with no source of sustainable income, fell quickly into poverty. They were robbed of all of their belongings and they were forced to move out of the protection of the clan. As their mother grew ill and spiraled into madness, their aunt Minerva helped take care of Diana and her siblings. The clan elders spoke of who would be their next leader and landed their attention on Diana. From a young age, she had shown promise. However, she was too young to lead. Minerva led for a short time before Diana had come of age at thirteen. During this brief time, Diana had many mentors. One in particular was a man who was outside of their clan. He was old and his mind wasn’t quite in the right place. But for a little girl, seeking guidance from anyone who would take her, he welcomed her as a pupil. He had many names and those of which never really stuck to her. But she remembered his face as clear as day. His philosophies were nonsensical and others ridiculed him. However, in this man, Diana felt pity yet she was inspired by his words. He taught her that there is evil in this world and laws are in place for a reason. Without them, people will turn into monsters that go against fate. That their hearts would turn black and they would never find peace. However, if there were enough of them, the evil would consume the world. Therefore, it was her duty to stop them since it was the goodness in her heart that brought her to his aid. Diana had experienced this evil first hand. Through those who disgraced their ancestors to profit off of her family’s misfortune. She followed him until the she could no longer. Diana had a duty to her clan and had to fulfill it. But she would not forget her master. As his words was what she lived by. She had a childhood friend by the name of Mars. A boy that was adopted into their clan at a young age. Despite him being human, he completed their trials. Throughout the years, his love and loyalty for Diana was unmatched. He shared her views and followed in her shadow, waiting for her to call upon him. She had left Reim for a time after reaching her 19th birthday and he had begun developing a guild for bounty hunters in her stead. So, no matter where she may go, there will always be allies for her. As small as it is, he began to spread various hunters throughout the world to assist Diana in achieving her goals of a utopia. When she left Reim, there were challenges that she knew she would have to face and she was ready for them. Dodoria had only gotten more irritated as the smoke cleared and revealed the woman in one piece. He was sure the blast would at least have injured her. Adding onto the embarrassment of his power gaging he could hear the soft chuckles of his two comrades in the background and his face flushed red. Before he could speak the Saiyan had already connected her kick to his chest which made him slide backwards a bit. On impact he felt the air swiftly drain from his lungs and wheezed in a natural attempt to regain oxygen but to no prevail. Pain burned from his lungs as he tried to catch his breath as she launched herself back. He placed his gaze back on her and just as quick she began throwing punches and kicks onto his body. An attempt was made to block them but she was simply too fast to block all of them. Unlike his comrades he was more adept in ranged combat than close. Dodoria had put himself in a position that he could not get out of on his own and this made him panic. About to plead for this to cease a kick that landed square to his face sent him flying back towards Cui and Zarbon. The pink alien sat him and wiped his mouth of the bloody spit drooling from his mouth. "That's enough," commanded Zarbon as he set down his cup and uncrossed his legs. He arose from his seat and walked in the middle of the scene not quite facing either party. "That was quite shameful Dodoria. You're lucky Lord Frieza did not see this pathetic battle." He gazed over at the woman and then turned away to walk out of the cafeteria. "Perhaps one day you could become a general with that strength. That is... assuming you aren't anything like that Vegeta." [*][u]Ice Box[/u] - Overall, she is pretty stoic and hardy. Diana can handle just about everything life can throw at her and she has been that way since she was a young girl. This causes some people to perceive her as scary, cool, or detached from reality. Though her expressions may be blank she is not so void of emotion than she looks. [*][u]Zoologist[/u] - Diana loves nature with a passion and is the go to person if you want to learn about wildlife. She carries a few books around with her which she records the behaviors and other information of anything she happens to study. Around animals is one of places that someone could spot her crack the slightest of smiles. [*][u]Tunnel Vision[/u] - She tends to be very straight forward and not very flexible when it comes to beliefs, jobs, or goals. This makes her exceptionally good at taking orders and she usually does not hesitate on a job. Being a bounty hunter she often takes it upon herself to apprehend or kill them but may refuse to kill animals or a friend. [*][u]Keeping Cool[/u] - Having Fanalis in her blood makes her slightly more sensitive to becoming irritated than others. Diana is able to keep her cool quite well or at least hide it. She could be exploding inside yet calm on the outside but it is not always the case. If she lets her aggravations snowball she tends to be more vocal and snippy. [*][u]Dark Horse[/u] - Diana tends to not talk much and only speaks when she feels it's needed. Though if the conversation holds importance she will voice her opinions and statements on the matter. Otherwise she'll simply respond in short sentences and body language. [*][u]Wildlife[/u] - Diana enjoys nature in general. Mammals, insects, amphibians; you name it and she would love it. She spends most of her time collecting data and spending time with creatures. [*][u]Eggs[/u] - There is one food that she absolutely loves and it's eggs. She is always trying new eggs to see if they're edible or not but her favorite egg to eat are the classic chicken egg. She'll eat anything from bird eggs to fish eggs, they're all usually good to her. [*][u]Heights[/u] - She loves the feeling of being up high and often climbs mountains for this. One day she dreams of taming a flying creature to be able to experience flight. [*][u]Authority[/u] - Diana has a deep respect for any sort of authority that protects the people from criminals. It is the reason she got into bounty hunting. [*][u]Rain[/u] - The harder it rains the happier she is. She simply loves to way rain hits her skin and the sounds it makes as it touches the earth. [*][u]Criminals[/u] - The existance of criminal activity disgusts her and she wishes to purge the world from it and bring those who have wronged others to justice no matter how small the crime. [*][u]Heat[/u] - While it's a minor discomfort, she isn't crazy about being hot. If it's not for the sweating, it's the irritation of sunburn. [*][u]Rough Water[/u] - Not being a strong swimmer comes with it's downsides as an adventurer. She would avoid swimming in rough waters as much as possible but would if she had to. [*][u]Descision Making[/u] - Being a quite streamlined thinker she does not like making hard, important decisions that require her to go against her way of doing things. [*][u]Sweets[/u] - Foods such as candies and pastries definitely aren't her favorite. Unlike other people she doesn't have much of a sweet tooth and prefers bitter and sour flavors. [*][u]Absolute Justice[/u] - Realistically one can not get rid of all the criminals in the world but that is something that Diana wishes to change in her lifetime. She keeps a tally on how many criminals she has jailed or killed in one of her books. Her line of work calls for the capturing and eradication of criminals so that is what she aspires to; ridding the world of it's evils as they disgust her. As she was traveling about the world after leaving Riem to further her studies and explore; she noticed how there were many more non-law abiding citizens and there was a lot of trouble apprehending them. This made her vow herself to jailing these people of all territories in order to protect the public. A downside to her goals is that she will apprehend any criminal no matter how small the crime and sometimes condemn them to death if it is ordered. Although she will not kill if it is not needed, she feels time in a jail is worse than dying. 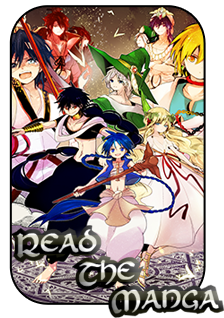 [*][u]Encyclopedia[/u] - One dream Diana has is to discover and record data of all the living creatures she can find. She is constantly setting goals for herself in this way and plans to pass on her knowledge to whomever is deemed worthy before she dies. Even though she does not plan on finding everything she hopes that someone that is as passionate as she is may continue her research. So far she has filled up two of her books with information and is working on the third one. [*][u]Being Alone[/u] - Ever since she was a child, she never quite enjoyed being left alone by herself. Diana always enjoyed the company of a family member or a pet. While it isn't a severe fear, she tends to get very anxious when not around animals or people which is why she tends to tame social animals who require a steady relationship and do not leave her side. This fear didn't stem from anything in particular aside from the fact she is very emotionally dependent. Diana needs something to listen to her and be around her in order to feel at ease. When she is alone she is anxious, irritable, and tends to have minor emotional breakdowns. [*]Diana is confident in herself and her abilities and it shows. Her posture is excellent yet sometimes it may make her seem stiff, almost statue-like. She has a habit of cracking the bones in her fingers which tends to leave her knuckles slightly bruised. In fact, she has plenty of scars on her body caused by the wild animals she works with. There isn't any time where she isn't a little banged up with a few scratches and bruises. Since she does not like being hot she tends to not wear heavy clothing unless it's very cold. Diana likes vests, belts, and suspenders for both fashionable and practical purposes. Vests serve for a more fashionable purpose, belts for keeping her clothes on her while she climbs and hunts, and suspenders for keeping everything together. She doesn't have a favorite color to wear so she usually wears monochromatic shades of black to white and earthy tones such as green and brown. [*]From being born in a predominantly Fanalis household she has her lower lip pierced though she does not have the piercing in often, the hole is there. [*]Diana was born in Riem on a chilly day in winter on a calm, clear night. She was the first and eldest child of her family, a blessing to her parents. Her mother was a human who worked at a bathhouse and her father was a gladiator of Fanalis descent. Diana's upbringing was quite average aside from the fact her father had a horrid temper and would sometimes scare her when he had fits. He would throw things, yell, and push her and her two siblings around but would never hit them. She had a younger brother and the youngest was her sister who she spent most of her time with. Being a gladiator her father wasn't around much and her mother worked long hours at the bathhouse so she was tasked with helping take care of her younger siblings. She would try to educate them the best she could but she was not that educated herself. Unlike her siblings she wasn't quite interested in watching her father in the coliseum. Instead she was more interested in her studies of plants and animals. She started small, observing the domestic farm animals or pets throughout the empire. It was inevitable that her father would live for long, being a gladiator had it's price and he couldn't go undefeated forever. It left an empty spot in their household that made sure their lives never felt the same. There was a long period in their life filled with grief and troubles. Without the income of her fathers winnings they were pushed closer and closer to poverty and stayed that way for as long as she could remember. Diana and her siblings would take small errand jobs around the market area to help support their family. In time her mother grew ill and even though Diana did as much as she could to cure her mother she never quite got better but not worse. Eventually when she reached adulthood she decided Riem was holding her back from her dreams. Being in a lower part of the city made them prone to theft and harrassment. Her precious valuables slowly disappeared in the night along with her researched which she sometimes found ripped up in the streets. Worried for her mother she taught her brother and sister how to treat their mother before she headed off into the world. There was a vulture she had befriended during one of her ventures outside the safety of the city that she took with her on her adventure. Criminals had always disgusted her and as she went from town to town to rest she had noticed there were wanted flyers nailed to boards, posts, and buildings for the capture or elimination of escaped or unapprehended criminals. The first time she took on one of these jobs she didn't know what to expect. The criminal she tried to arrest had naturally put up a fight, giving Diana her first taste of battle. Unknowingly how strong she actually was, she ended up killing the man. It was a complete shock to her and it was definately not something she enjoyed. For a while she was quite bothered by the fact she had blood on her hands though she was rewarded for her duties. The man who was the head guard of the town praised her for her efforts and his words eventually convinced her she had done good and justified the blood she had spilt. She then vowed to make this her goal in life, to capture or kill any criminal no matter what the crime. Diana took it upon herself to attempt to make the world a better place for everyone who was negatively affected by bad people.